Using the most advanced and latest technology in the hair care manufacturing industry and back by 10 years of expertise comes the easiest and safest way to achieve a silky straight hair - in minutes. 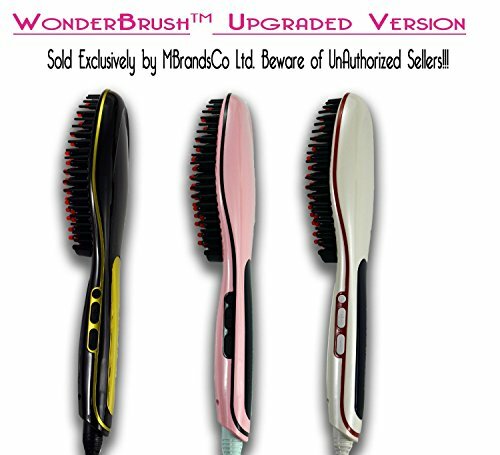 You'll love this device for its elegance, easy grip, lightweight and ergonomic design. 1. 365 degF (180 degC) - recommended for delicate colored fine hairs. 2. 410 degF (210 degC) - recommended for natural textured hairs. 3. 450 degF (230 degC) - recommended for thick or wavy hairs.